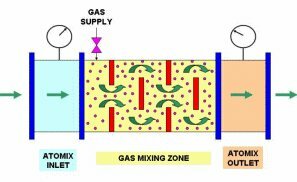 PrepQuip’s Atomix In-Line Mixer/Oxygen Reactor has been designed to produce ultra-fine gas bubbles in liquid streams, resulting in excellent gas dispersion and utilization efficiency. The compact design includes a four stage mixing system, two stages of atomisation of air bubbles and two stages of dispersion. The reactor is manufactured with highly abrasive resistant ceramic internals. 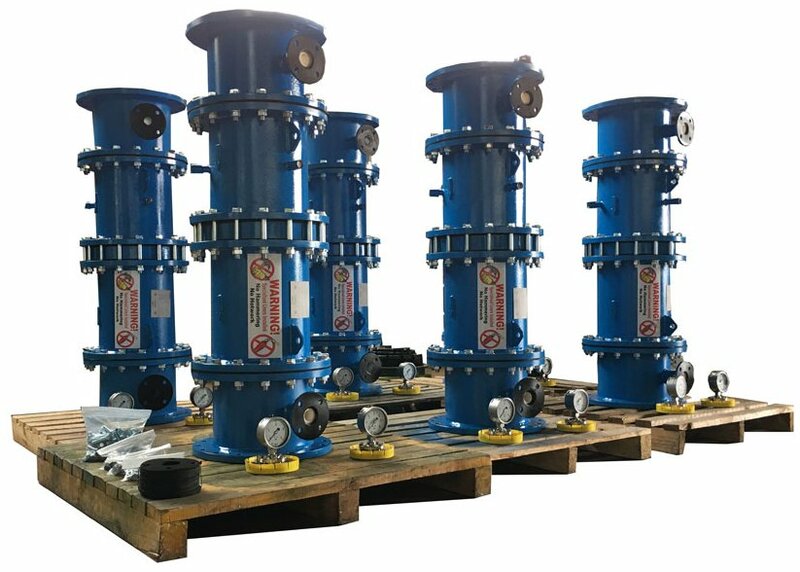 Several Atomix models are available to suit a variety of slurry flow rates according to client requirements. 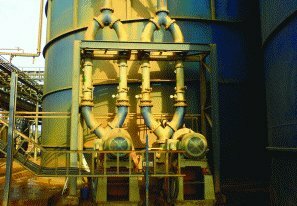 Capacities range from 35 m3/hr to 1,040 m3/hr. The PrepQuip Atomix can be installed in a number of different configurations to suit the application the client requires.